Description This Douglasville, Georgia hotel has an outdoor pool, free internet access, non-smoking guest rooms and free breakfast. Free Wi-Fi an outdoor pool in-room mini-fridges and microwaves are a few of the amenities our guests enjoy at the Holiday Inn Express Atl West (I-20) Dville Area. 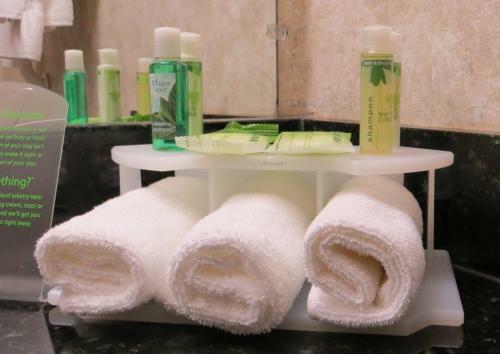 The Holiday Inn houses 100 accommodations on five floors some of which are designated non-smoking. 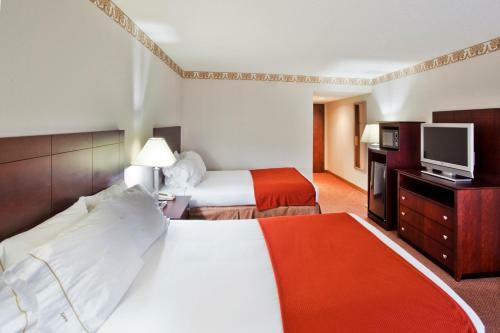 Each room has a cable TV with expanded channels free Wi-Fi a mini-fridge and microwave. The hotel's free buffet breakfast features eggs omelets bacon biscuits and gravy fruit cereal and beverages. Fitness buffs are happy to hear there's a workout room and an outdoor pool on-site. Corporate guests may want to check out the in-house business center and fax service. Parking is free. The Holiday Inn Express is located off I-20 23 miles from downtown Atlanta. It's 13 miles from Six Flags Over Georgia and one mile from Arbor Place Mall. The Douglasville Convention Center is three miles away. The Georgia Aquarium and Coca-Cola Museum are both 20 miles away. Hartsfield-Jackson Atlanta International Airport is also 20 miles from the hotel. 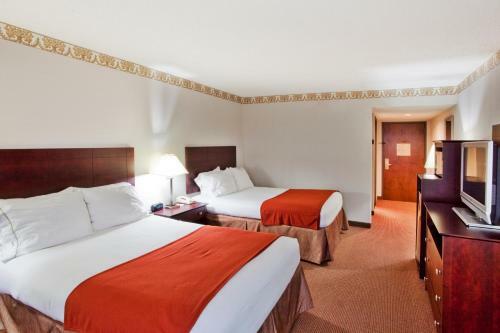 Add Holiday Inn Express Atl West (i-20) Dville Area to your free online travel itinerary.